IFA National Treasurer and Returning Officer, JJ Kavanagh has complimented officers from the Association’s 947 branches and the regional staff for their tremendous work during the past year which has seen a further net increase of 300 members, bringing the overall membership of the Association to an all-time high. With March 31st being IFA’s financial year-end, Mr Kavanagh was also pleased to report that the Organisation was in sound financial shape. 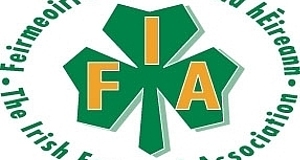 However, he said IFA’s work agenda continued to grow and it was very important that all farmers support IFA’s work through their membership subscription and payment to the European Involvement Fund. Mr Kavanagh said the Association was fortunate to have a dedicated support staff in all of its regional offices and he complimented them and the Director of Organisation, James Kelly, for their commitment to developing the Organisation and servicing the many issues of concern for individual members that arise on a day-to-day basis. JJ Kavanagh said, “IFA’s continued commitment is to use all of its financial and people resources to improve the incomes and conditions of Irish farmers.” He thanked members for their valued support and encouraged the increasing number of younger members to get more actively involved in IFA’s work and policy development at all levels within the organisation.